A freely accessible space for discovery and exchange, the Ressource center helps better grasp the phenomena disrupting our everyday life through essays, periodical, graphic novels, video games, creative apps, augmented books. 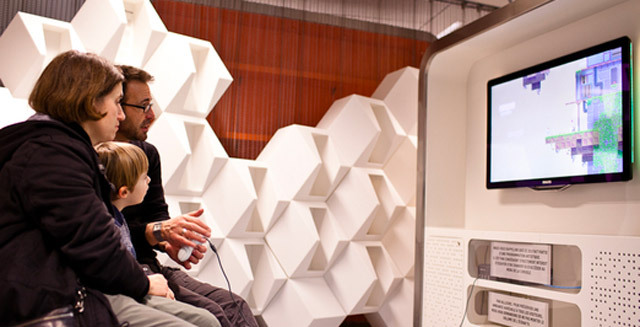 The document library, the video game space and the applab lead to workshops and encounters programmed on a regular basis. Always linked to la Gaîté’s programming, librarians’ selections are open to a variety of perspectives and enable a regular workshops and encounters program to occur. 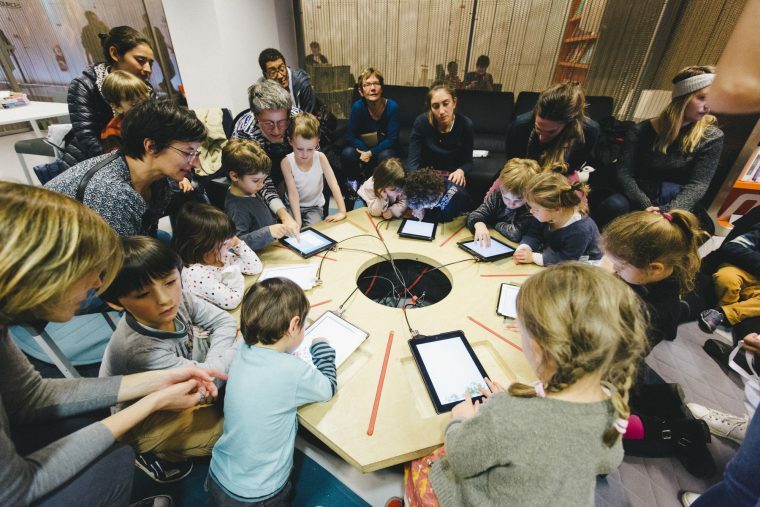 The specialized document library, the video game area and the applab for families are as many spaces for exploration in order to decipher digital cultures and explore new territories for creation. Technologies deeply transform the ways in which we work, live, see, communicate, learn and create… 5000 publications and two dozen specialized periodicals offer a multidisciplinary approach to media art and the cultures of books, design, architecture, graphic design, immersive technologies, transmedia, fashion and new forms of scenic writing. Of all these resources are available for on-site consultation, with one exception: 50 publications are available to borrow on website webibli, a collaborative library to loan and borrow books on the web, design and digital cultures. The consultation tables are dedicated to consulting the document library. The team welcomes you in order to guide you and accompany you in your search for publications. By reservation, documentarians welcome student and professional groups for specialized visits of the collection or for document research training sessions. Every two weeks, discover new games on the seven freely accessible screens. Selections highlight original productions and explore the universe of video games to introduce you to new horizons, expand themes from the document collection or provide for all ages and every audience to share some leisure time. Destined to kids and families, mobile applications, albums, games and coloring pictures make up a laboratory where artistic perspectives and various medias criss-cross and complete each other. Experimentation is the gateway: telling stories, learning about stuff, looking at things differently, touching, feeling, listening, caring for the planet, exploring and creating the world in one’s own way.